I’ve been posed all sorts of bizarre questions about dog nutrition and health. But when a friend asked me ‘Can dogs eat shrimp?‘ one day I was more than perplexed. 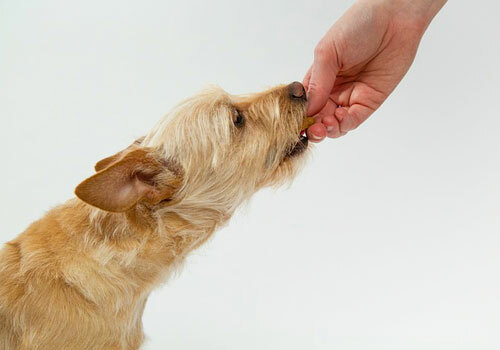 Our dogs have a huge appetite, and they can eat anything that falls within their line of sight. But can they enjoy one of the most globally famous seafood dishes? We’ve already heard that you can feed your furry buddy all sorts of tasty and healthy food like apples, pineapples, oranges, even eggs. So can our dogs enjoy the scrumptious shrimp? The short answer is yes – but with a certain set of rules. As with any other dog foods, too large quantities of shrimp may cause health problems for your pooch. Shrimp are rich in protein, which is very beneficial to a dog’s diet, however, they’re also rich in cholesterol that’s bad for humans and dogs alike. Let’s get to know our favorite seafood a bit better and see how it can communicate with our dog’s diet! Shrimps are very healthy for human diets and dogs’ make no exception! As with most other seafood, they are rich in very useful antioxidants, including Astaxanthin. This useful ingredient can benefit your pooch’s muscular and nervous system, as well as decrease their risk of colon cancer and diabetes. If your furry friend takes well to shrimp, they can also benefit from the crustacean’s high quantity of vitaminB12, which is essential for dogs. 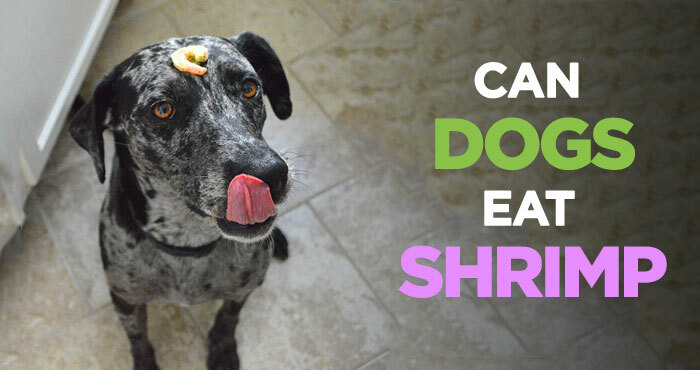 It’s not just the vitamins and antioxidants that make shrimp great for a tasty dog treat. They are rich in Selenium, which is very important for the heart and mental health for your pup. Selenium also helps in preventing cancer and other degenerative diseases. Shrimp, when compared to other fish and seafood, has a very low level of mercury. This means they are completely safe to give to your pooch as a tasty, healthy snack. Shrimp are very rich in protein – especially sustainable, fresh shrimp! This makes for an excellent, balanced diet. A 4-ounce serving of shrimp contains almost 26 grams of protein. Apart from B12, there are other vitamins and minerals found in shrimp, such as Copper, Vitamin B3, Zinc, Vitamin E, and Vitamin A omega 3 fats. When eaten with no extras, shrimp are really low in calories, carbs, and fat. Too much is never good – it can be quite easy for your pooch to get addicted to the crunchy crustacean goodness, so make sure to only give them a shrimp or two at a time. Always cook, peel and clean shrimp before feeding them to your dog to avoid any choking hazards! When feeding shrimp to your dog, you always need to closely observe how they react to it. Are they experiencing a lack of appetite for other food, apathy or throwing up? If so, your dog might be allergic to shrimp – you should avoid giving them any more before consulting a vet. So can dogs eat shrimp? Yes, and they are incredibly healthy, when prepared correctly and eaten in moderation. Why Is Shrimp Bad for Dogs? Yes, it’s true that shrimp are very nutritious and have an excellent mix of vitamins and minerals that work in their favor. But… as with anything else, they come with their drawbacks when it comes to dog nutrition and healthy eating. You must remember that your dog hasn’t naturally evolved to eat shrimp – their ancestors haven’t really done any deep diving to the bottom of the ocean! So avoid making this a very sudden change to your pet’s diet. Introduce it slowly and gradually to avoid overeating or developing bad eating habits. The ASPCA advises that if you suddenly change your pooch’s diet, that can lead to some very unpleasant stomach upset. Your pooch might not take to the taste, texture, or feel of shrimp that easily, and that’s completely fine! Like I said, the health benefits of shrimp can be found in many other fish and seafood products – such as salmon – so don’t force it. Additionally, shrimp are naturally very rich in cholesterol. 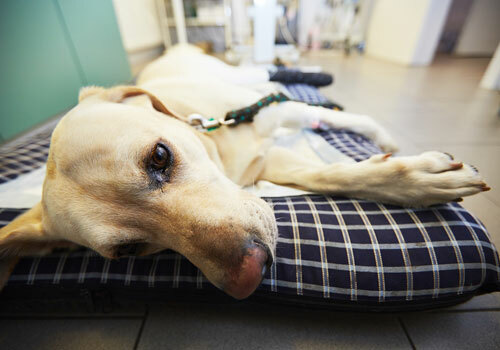 Just as it’s bad for humans, it can also lead to unpleasant conditions of dogs, such as diabetes. So definitely don’t go feeding too much shrimp to your pooch and don’t make it a habit! Too much cholesterol most often makes for an unhappy pup. It’s crucial to cook the shrimp before serving them to your dog. Uncooked shrimp for dogs can hide a risk for food poisoning, and something called shellfish toxicity. Cooking them kills all the bacteria in the shellfish that might harm your dog. As with all other seafood, always clean the shrimp thoroughly before serving it to your dog. Shells, veins, and any other small, hard pieces of the shrimp can stick to all kinds of places along your furry friend’s digestive system. Avoid giving your dog anything else to accompany the shrimp, especially things high in cholesterol, as this will only increase their risk of illness! Shrimp are naturally low in fat, so don’t increase the fat levels by dousing them in dressing or oil. It’s highly recommended to contact a vet before introducing shrimp to your dog’s daily diet. How to Prepare Shrimp for Dogs? To make sure that the shrimp you prepare is healthy and tasty for your canine friend, you need to take some precautions. When cooking shrimp, never fry it. This douses the low-in-fat crustacean with fat, which not only beats one of its most beneficial nutritional qualities, but can lead to digestive problems and stomach irritation for your pooch. Additionally, don’t add any garlic or onion. These ingredients can be very toxic to dogs. Salt should also be used cautiously, if at all, because large quantities of it are also lethal. Any seasonings like paprika are in danger of causing stomach upset to your furry pal. So should I feed my dog just plainly cooked shrimp, you may ask? Yes! Not seasoned, fully cooked shrimp is by far the best choice for your canine friend. Trust me, dogs aren’t not overly picky when it comes to flavor, and they definitely won’t scold you Gordon Ramsay-style for not seasoning their shrimp. Finally, as I mentioned before, it’s really important to thoroughly clean the shrimp before serving them to your dog. And yes, that means removing the entire shell, tail, legs, head, and any other spiky, hard bits of it. All of them can lead to digestive blockage, and that’s a really annoying and unpleasant thing for both you and your dog to deal with. After feeding shrimp to your dog, pay close attention to their bowel movements and behavior. If you notice anything out of the ordinary, make sure to consult your vet straight away. My Dog Ate Raw Shrimp or Too Many Shrimp! Now What? Shrimp are safe only to feed your dogs in small quantities. Too many shrimp will cause a stomach upset and will definitely lead to an unhappy pooch. 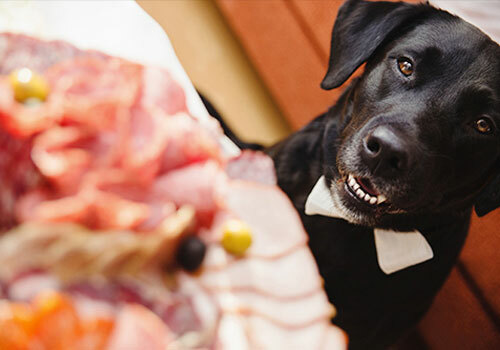 Despite that, all dog lovers know that our canine friends can be notorious for their mischiefs when it comes to food. You might turn your head for a second and then look back to see that your dog has feasted on a full plate of shrimp. So what do you do if your dog overeats on shrimp? As with any other overeating, expect vomiting, diarrhea or both. If your dog ate shrimp to a great quantity, then the dog’s body will do its very best to get rid of the shrimp on its own. If you think your pooch is experiencing any problems, or taking too long to clear the shrimp out of their system, consult a vet! Depending on the amount that your furry friend’s managed to sneak away, consider quarantining them to an area that’s easy to clean. The great outdoors always helps – if the weather permits, of course! It also makes sense cleaning-wise, as the mess will be a lot easier to manage. Make sure to always keep the water bowl full of fresh water to avoid dehydration. Watch the video below to know which foods are toxic to dogs and should be avoided. That a lot of seafood info to process, so I’ve summarized the most important points below as a handy go-to guide for the shrimp-dog relationship. Refer other dog lovers, who are wondering about a crustacean diet addition for their pooch here as well! 1. Can dogs have shrimp? Is shrimp ok for dogs? As it turns out, yes, as long as the quantity is moderate and they’re prepared properly. Shrimp are packed with protein and useful vitamins that can help your pooch’s muscles, bones, and heart. But again, too much is never too good, so pay close attention to the portion size. It’s best to only use them as a light snack every once in a while. 2. Can dogs eat shrimp tails? Can dogs eat shrimp shells? That’s a huge, beeping, buzzing, shining no. You wouldn’t eat fish with its backbone still there, would you? Same goes for shrimp! Any hard bits can cause choking or stomach blockage, so make sure to thoroughly clean the shrimp before serving them to your dog. This would make it easier for dogs to digest and make their whole crustacean experience a lot more pleasant! 3. Can dogs eat cooked shrimp? Or raw shrimp? Always serve your dog cooked shrimp. Raw shrimp can cause infections or may contain bacteria that often lead to food poisoning. Cooking kills that bacteria and makes the shrimp way safer for your pooch. If you’re too worried about feeding shrimp to your dog, there are some great chewy shrimp treats out there that don’t contain wheat, corn or soy and are U.S manufactured. 4. Are dogs allergic to shrimp? 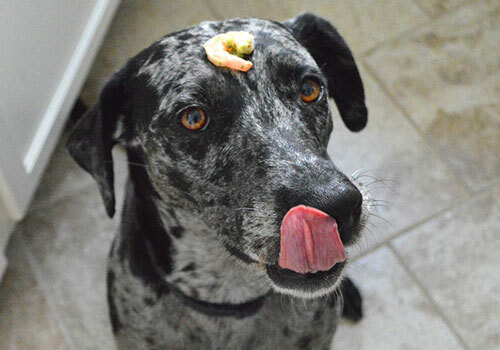 Some of them may be – always observe your dog after giving them shrimp for the first time! Common signs of an allergy would be the loss of appetite, lethargy, and vomiting. If your pooch experiences any of those symptoms, contact your vet immediately and don’t give them any more shrimp. In the case of a shrimp allergy, there may be more seafood-related allergies your pooch has that you’re not aware of. It’s always a good idea to get them tested for that. 5. Are shrimp poisonous to dogs? No – but only when prepared thoroughly. Fully cooked, unseasoned shrimp, given in moderate amounts, are perfectly safe to feed to your dog. This helps with all potential toxicity (shellfish toxicity) and ensures that your pooch receives all the health benefits of the tasty crustacean. In the case of a bad reaction on your dog’s behalf of any kind, consult your vet about whether shrimp are right for your furry friend. 6. Can puppies eat shrimp? 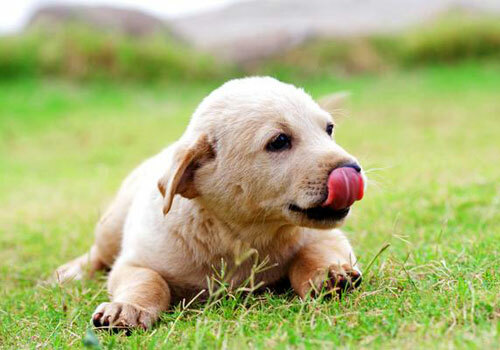 Puppies are okay to eat shrimp when they’ve grown to an age where they can digest solid foods. If your puppy is less than 6 months old, you should keep them on a diet of puppy food suitable for their age. To prevent any unpleasant side effects, never season or add anything like onion or garlic to the shrimp meant for your dog, as these products may be toxic. Always serve them plain, well-cooked and cleaned shrimp. We simply can’t resist that scrumptious shrimp – it is, after all the most popular seafood treat in the United States! After reading this guide, we can now decide like responsible, health-conscious dog owners whether to treat our pooch to some shrimp or not. So what’s the verdict: can dogs eat shrimp or no? We have decided that the answer is a resounding yes! But always make sure to exercise some extra caution and consult a vet before integrating shrimp into your dog’s daily diet. Although naturally rich in proteins and healthy vitamins and minerals, shrimp also have very high levels of cholesterol, so make sure your dog doesn’t overeat on them. 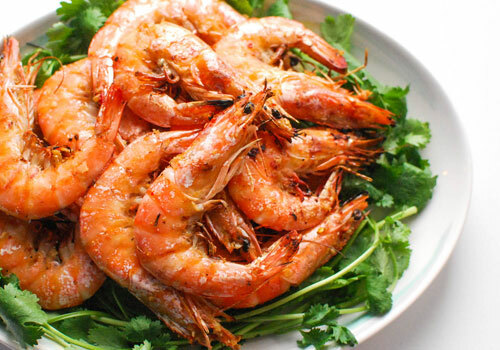 Eating too many shrimp will cause a lot of discomforts, including vomiting and diarrhea. 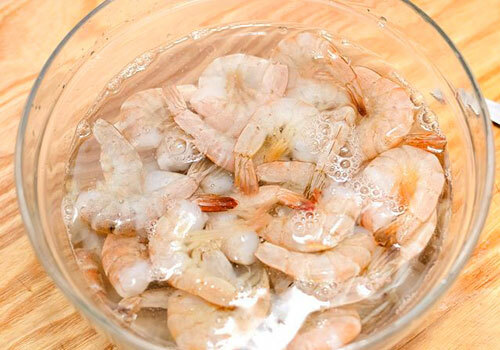 Thoroughly cook, clean and peel all shrimp you serve to your dog and don’t season it to make sure all the tasty nutrients get to your pooch easily. 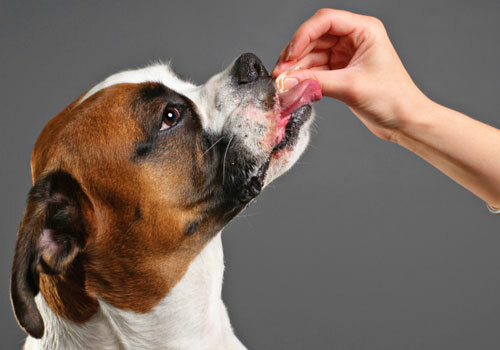 If you’re feeling unsure about feeding shrimp to your dog, shrimp-flavored snacks are always a good alternative. Either way, with integrating a moderate amount of shrimp into your furry friend’s diet, you’ll have a happy, satisfied pooch with a refined taste for the better life!